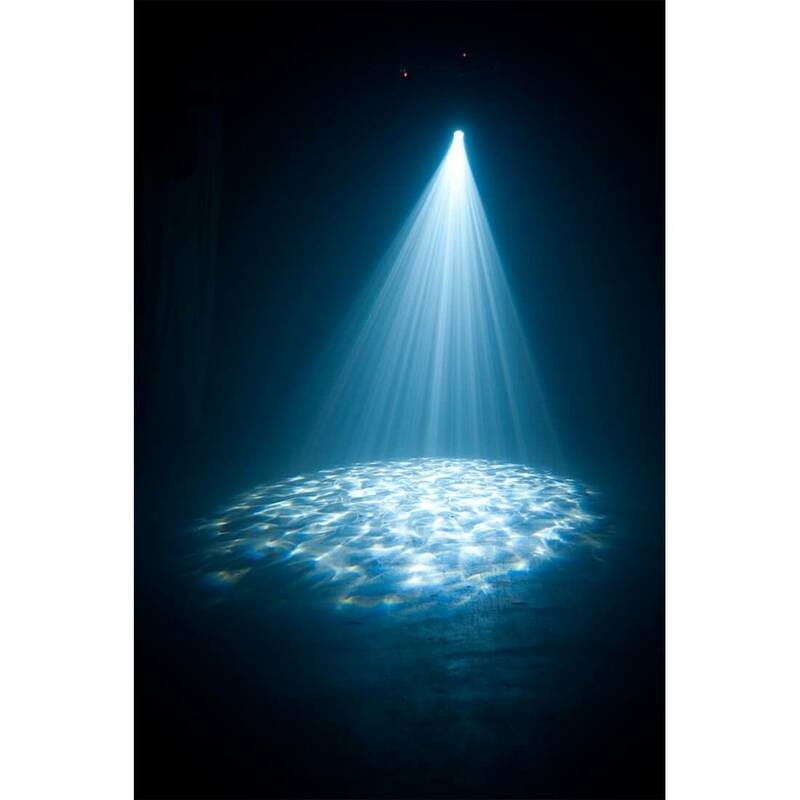 The ADJ H2O IR is a multi-colored simulated water flowing effect with a 12W LED source. The unit produces almost no heat, requires very little power (23.8W max) and can be used all night long. The LED is rated at 30,000 hours of use. 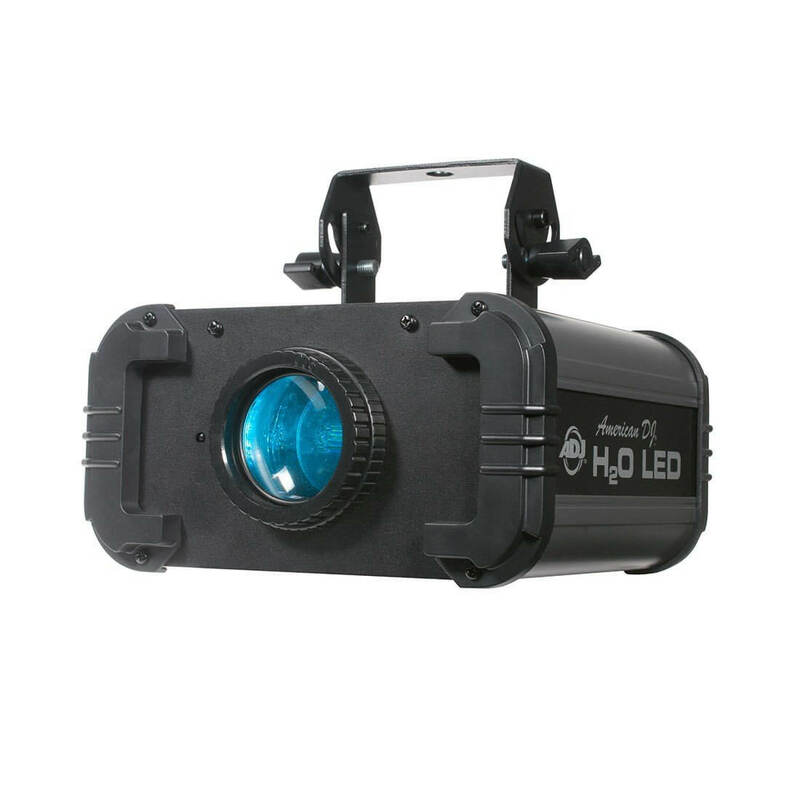 The unit comes equipped with two interchangeable lenses (34 and 52-degree) depending on how wide of a beam is required for your event. The H2O IR is compatible with the UC IR wireless controller (sold separately). There's no end to applications for the H2O IR. Water flowing effects can add a unique visual dimension to nightclubs, bars, restaurants, shows, music, museums, performances, and even displays and special events. The H2O IR may be used with or without the use of fog.